The great ballets say so much about the universal human condition, about the pain of falling in and out of love… but what happens if you try and take actual life advice from works like Tchaikovsky's The Sleeping Beauty? Been dumped? 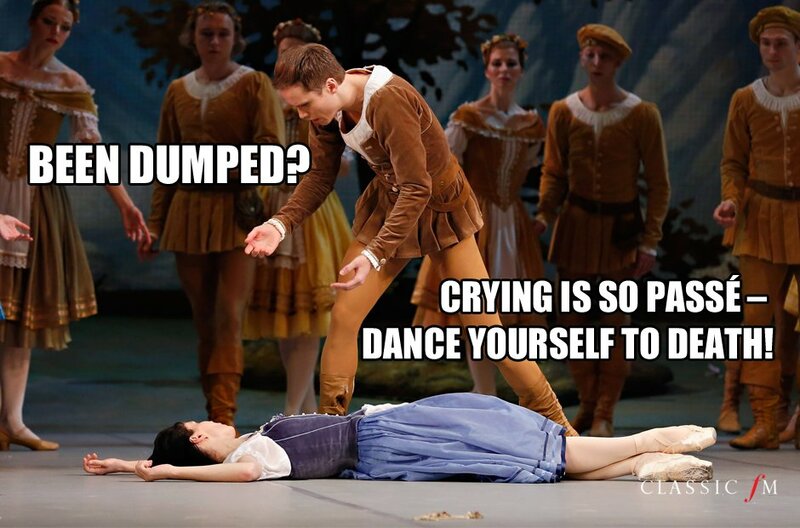 Crying is so passé – dance yourself to death. Lonely? Carve a doll and bring it to life. Children: don't go to sleep on Christmas Eve. You'll miss all the action. Drink anything with a friendly label. Invite all the good fairies to your child's christening. Don't invite the bad fairy, no one likes the bad fairy. Want a second date? Run away at midnight without telling anyone your name. Never turn down a date.